There are some things in our world, unseen, small, unnoticed and unique, all waiting to be explored, captured and shared. We would like to invite you to a journey to discover such things, surprisingly - in your own home. Winter. It may be colder this year than usual for some areas, but it is also a source of amazing images. With many parts of North America experiencing frigid temperatures, Nikonians Academy instructor Michael A. Mariant will soon be leading Nikonians in an outdoor photo adventure designed to take advantage of precisely these conditions. 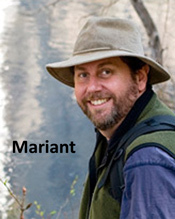 Join Michael Mariant (Feb. 20 – 23) for his signature Yosemite in Winter: A Season of Contrast workshop. Michael explores the park's best features while showcasing the area's austere winter beauty. 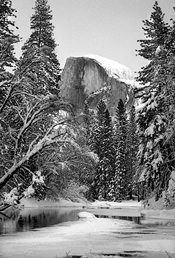 Wintertime in Yosemite is peaceful serenity at its best. This is when you find the least number of tourists, while a blanket of white snow covers the valley, dotting the trees and providing great contrast to the stark granite walls. This workshop will focus on the numerous locations in the valley that are complemented by the snow season. In March, Michael is running a unique photo workshop to Death Valley that highlights this park's amazing landscapes, beautiful astrophotography and graphic sand dunes. His 4-day Death Valley in the Spring workshop begins on March 13. Michael Mariant is a master at helping photographers realize their full potential in the field. 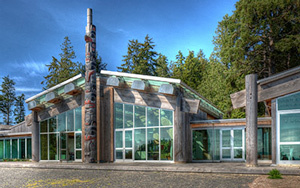 His workshops to North America's National Parks have been praised as some of the best in the country. 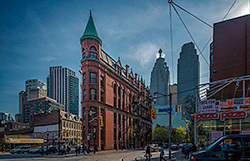 "Building on the success of our Urban Photography 4-day workshops, we've just posted a brand new series of 2-day workshops from Rick Hulbert. 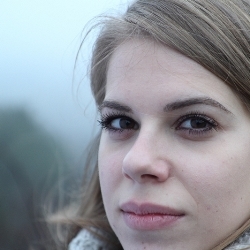 The first is our Mastering Architectural and Urban Photography 2-Day Workshop. The second is the Mastering Composition in Photography 2-Day Workshop. These two workshops are designed to be taken as a series, but you can also take them one by one. The price of each two-day workshop is $525, but if you sign up for both at the same time, we will send you a rebate of $155 which lowers the total price from $1,050 to $895." The Alaska! - Whales, Bears, and Ice Fields Wildlife Photography Adventure is selling quickly. 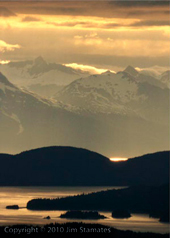 Join Jim Stamates for this one of a kind tour through southeast Alaska to photograph its amazing wildlife and landscapes. The week-long adventure begins July 18 and features the opportunity for Nikonians to venture out in their own private boat to find Humpback and Killer Whales, seals, and other marine mammals, and travel to remote areas to photograph the largest of the grizzly bears, the Alaskan Brown Bear. Jim is eager to share his knowledge from 30 years as a professional wildlife photographer and his countless trips to Alaska. He will teach his 3 Keys to Great Photos, and how to get those stunning images of wildlife while using ‘low impact field techniques’. The Academy's famous Masters Series workshops for Nikon Cameras and Lightroom 5 will be running all around the USA. These workshops include classes on cameras such as the Nikon D600, D610, D7100, D7000, D800/D800E, D4, and the brand new Nikon Df. ------------------- and many more to come. Nikonians Academy Director Mike Hagen reports the newest DSLR cameras in Nikon's inventory now have corresponding workshop support coming in March, April and May. New York (Mar 26 – 30), Los Angeles (Apr 1 – 6), Fairfield NJ (Apr 3 – 6) - hosted at Unique Photo Super Store, Chicago (Apr 8-13), Dallas (Apr 29 - May 4) and Houston (May 6 – 11). Mike tells us he will continue to add cities to the schedule and he's very close to opening up new workshops for the summer. The Urban and Street Photography workshop is sold out for San Francisco but we have two remaining spots available for Dallas, Texas (Feb 20-23). This workshop series led by Richard Hulbert is designed to improve your photography regardless of whether you consider picture taking a hobby, or you are a serious enthusiast, or a professional photographer, or earn your living as a member of the global real estate, design, and construction industries. Richard will also bring this series to Berlin, Germany and Cambridge, UK. The Berlin workshop (starting March 20) is down to its final two seats remaining and we still have a few available seats for the Cambridge, UK workshop (starting March 27). 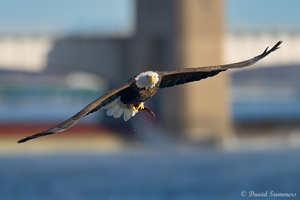 Join professional wildlife photographer Jim Stamates at the Winter Wings Festival . This action filled 2-day field workshop starts Feb 12th. 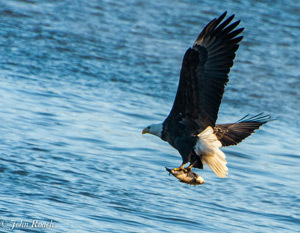 You will be photographing the many birds of the Klamath Basin including Bald Eagles, Hawks, Owls, and waterfowl. This is a prime opportunity to focus on the hundreds of Bald Eagles that winter at the Klamath Basin NWR along with thousands of Swans, Geese, and Ducks. 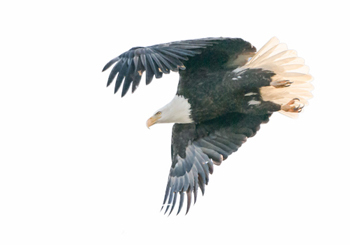 This is the place to be for wintering waterfowl, bald eagle and birds of prey photography. 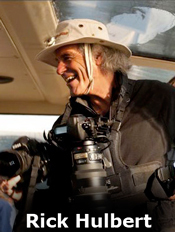 Jim will share the low impact field techniques that have helped him capture thousands of amazing photographs published worldwide. 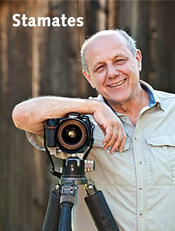 Jim will use his 35 years of experience and knowledge of wildlife, birds, and the natural environment to help you express your uniqueness through your photography. He will also share a little known secret on how to find and get close to wildlife. This workshop led by Michael A. Mariant will focus on the numerous locations in the Yosemite Valley that are complemented by the snow season as well as timed for one of the few rare scenes in Yosemite that happens only once a year for about 10 days in only the perfect conditions: the backlit illumination of Horsetail Fall by the setting sun, called 'The Firefall' as immortalized by the original 1973 Galen Rowell photo. All three sunset opportunities of the workshop will devoted to capturing this elusive visual phenomenon. The 4-day workshop begins February 20th. This workshop focuses not only on the "where" to take the pictures, but also on the "how" to take pictures, incorporating photographic education throughout the workshop at each location. 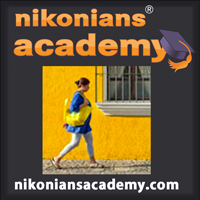 Check our Nikonians Academy schedule by city area for details on workshops coming to your area. In this short article, our new author, Ján Štimel, will explore some methods on how you can achieve interesting, and hopefully appealing, photographs in seemingly dull weather conditions like the thick fog he experienced. 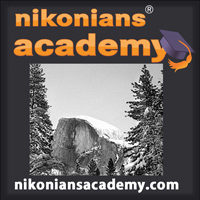 Nikonians Academy Director Mike Hagen has just finished his first 2014 workshop series in Orlando, Florida and he reports sold out classes and high energy. "It's obvious our people are excited to learn all about their cameras," reports Mike. That excitement generates a need for more workshops and he has already arranged for six new cities to the Nikonians Academy calendar for the first quarter and will be adding many more soon. Mike Hagen and Steve Simon will be hosting Masters Series workshops on the Nikon D800, Df, D4, D600, D610, D7100, D7000, and the Passionate Nikon Photographer. Did you notice the "Df" in that last sentence? 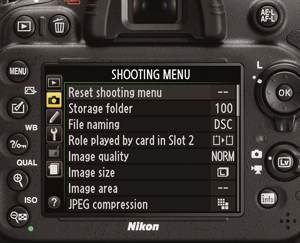 Yes, it's true -- The new Nikon Df has been added to the workshop schedule. Join Nikonians Academy at the Winter Wings Festival with professional wildlife photographer Jim Stamates for this action filled 2 day field workshop photographing the many birds of the Klamath Basin including Bald Eagles, Hawks, Owls, and waterfowl. We will focus our attention and our cameras on the hundreds of Bald Eagles that winter at the Klamath Basin NWR along with thousands of Swans, Geese, and Ducks. 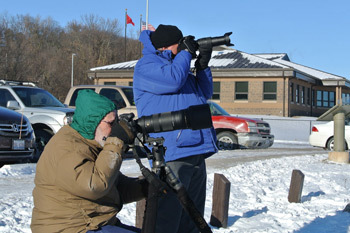 This is the place to be for wintering waterfowl, bald eagle and birds of prey photography. This workshop will focus on the numerous locations in the Yosemite Valley that are complemented by the snow season as well as timed for one of the few rare scenes in Yosemite that happens only once a year for about 10 days in only the perfect conditions: the backlit illumination of Horsetail Fall by the setting sun, called 'The Firefall' as immortalized by the original 1973 Galen Rowell photo. All three sunset opportunities of the workshop will devoted to capturing this elusive visual phenomenon. 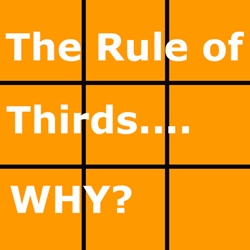 Composition: The Rule of Thirds – Why? Although a generally accepted composition rule, we are seldom -if ever- explained why. Nikonians co-founder J. Ramon Palacios (jrp) revisits in his article the concept and its origin. Our Nikonians Academy instructors are on the road with a full schedule of workshops and photo adventures ahead of them. 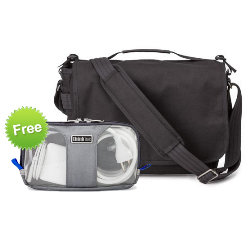 Master Adobe Lightroom 5 In Depth 1 on January 11 and Master Adobe Lightroom 5 In Depth 2 on January 12. Rick Hulbert takes his 4-day Urban and Street Photography workshop to San Francisco (February 6-9) at the Fisherman's Wharf and Dallas, Texas (February 20-23). In March he brings the same workshop to Berlin and Cambridge. For a taste of the wonderful student testimonials that Rick has been consistently receiving for his teaching efforts, have a look at his website. Jim Stamates' Bald Eagles of Klamath Basin Photography Workshop in Oregon (starting February 12) will be held in conjunction with the Winter Wings Festival with other photographers like Rick Sammon and Bill Thompson. You will have the opportunity to focus your attention and cameras on the hundreds of Bald Eagles that winter at the Klamath Basin NWR along with thousands of Swans, Geese, and Ducks. 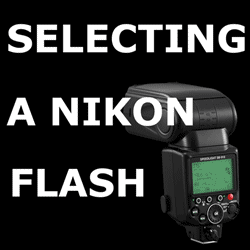 Getting ready to buy a Nikon Speedlight, the extensive lineup of options could be a little overwhelming. 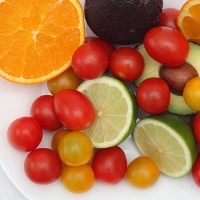 This concise article may help in your selection.